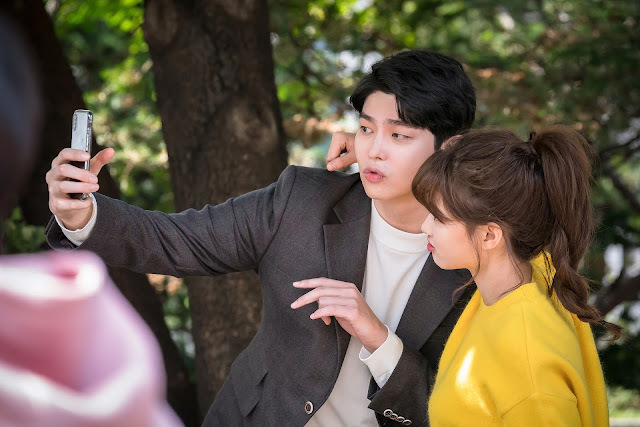 Yoon Kyun Sang & Kim Yoo Jung still cut at romantic-comedy drama "Clean with Passion for Now"
Celebrate the most joyous period of the year on Viu with the latest in Korean entertainment! Whether it is snuggling in your blanket to catch Park Bo Gum and Song Hye Kyo in Encounter, or to catch the adorkable Yoon Kyun Sang and Korea’s ‘Little Sister’ Kim Yoo Jung romancing each other in Clean with Passion for Now, or even to bust some crimes with Shin Ha Kyun in Less Than Evil, Viu has something for everyone this festive season. Korea’s latest blockbuster drama Encounter made its stellar debut on Viu on 29 November, a 16- episode melodrama starring heartthrob Park Bo Gum and beauty Song Hye Kyo, where the two meet in a fateful encounter in Cuba and start their whirlwind romance. Featuring the two powerhouses as the main leads, the debut episode broke tvN’s viewership ratings record for a Wednesday-Thursday drama premiere. 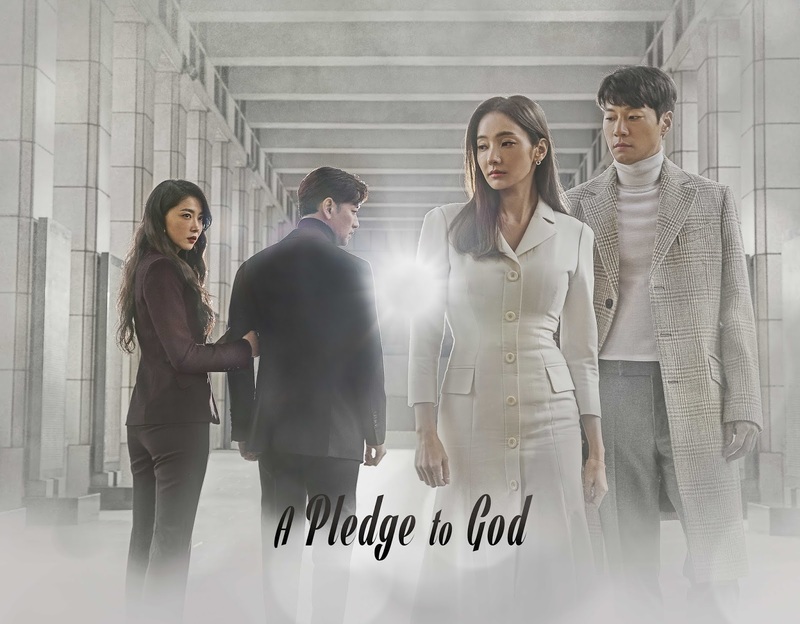 Melodramas continue their march in It’s My Life and A Pledge to God. The former stars Park Yoon Jae and Seo Hye Rim, whose vastly contrasting lives become intertwined when the two meet. The latter, a family melodrama starring Han Chae Young and Bae Soo Bin, delves into the morals and ethics of this world where the lives of dying children are in limbo. If melodramas aren’t your cup of tea, be inspired to start clean and fresh with the romantic comedy, Clean with Passion for Now. Featuring rising actor Yoon Kyun Sang who plays a young, troubled CEO, he falls in love with his charming yet unlucky employee, played by actress Kim Yoo Jung. Perfect for chilling with a warm cup of hot chocolate, fans can look forward to their adorable chemistry despite their 12-year age gap. For fans of the crime drama genre, Less Than Evil (Shin Ha Kyun, Lee Seol) is available to satiate your taste buds. A remake of the popular British television series Luther, the drama stars veteran actor Shin Ha Kyun and budding actress Lee Seol as they join hands together to solve the most impossible of crimes. Less Than Evil has soared to impressive premiere viewership ratings, peaking at 10.6% at episode 4, joining the list of must-watch dramas this year-end. End the year with laughter all around with Korean movie An Accidental Detective 2: In Action, starring Sung Dong Il, Kwon Sang Woo, and Lee Kwang Soo, as the trio take on a murder case and realise the further, they dig into it, the more they realise things are not as they seem to be. For a tinge of warmth, remember to check out Sunset in My Hometown (Kim Go Eun, Park Jung Min), whose inspiring storyline and charming portrayal of the characters are set to make you feel warm and fuzzy inside. Lastly, send a thoughtful present of a 12-month Viu Premium Festive eGift card to your loved ones or even give yourself a special treat this joyous period! Starting from 12 December 12:00 to 1 January 23:59, purchase a 12-month Viu Premium Festive eGift card at $49.90 (U.P. $71.76)! For the little ones, we’ve got their Christmas presents settled with (A) a 12-month Viu Premium eGift card and a Robocar Poli Tumbler at $59.90 (U.P. $112.26) or (B) a 12-month Viu Premium eGift card and a Robocar Poli Float at $69.90 (U.P. $125.76)! While stocks last! Check out https://sg.viu.store/ for more details.